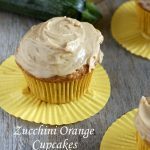 If you have a garden, chances are you have a bunch of zucchini this time of year, and you’re looking for great recipes to put it to good use. 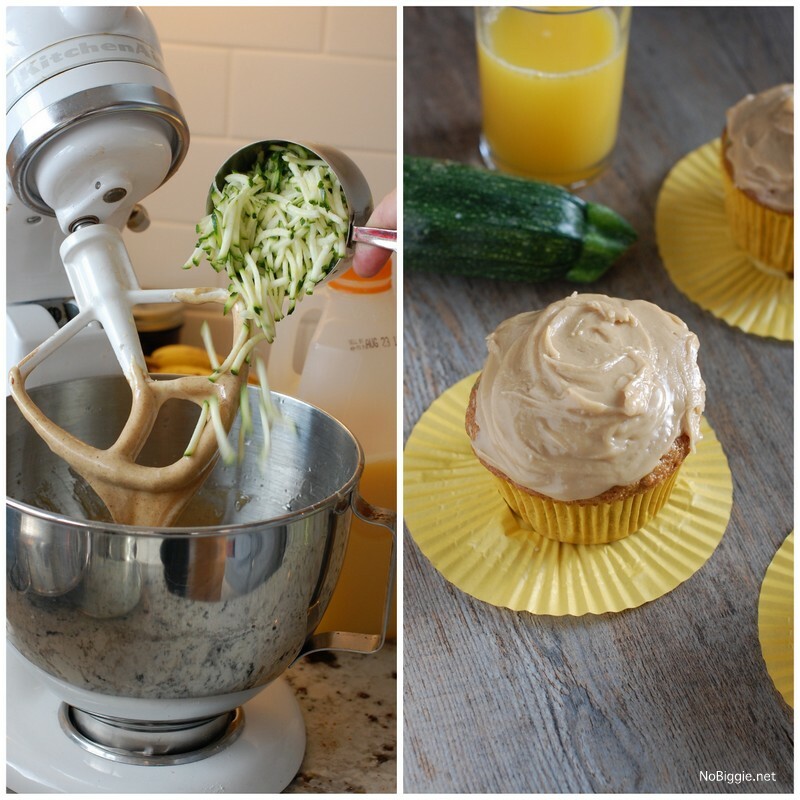 Shredded Zucchini and orange juice are the stars of these cupcakes. 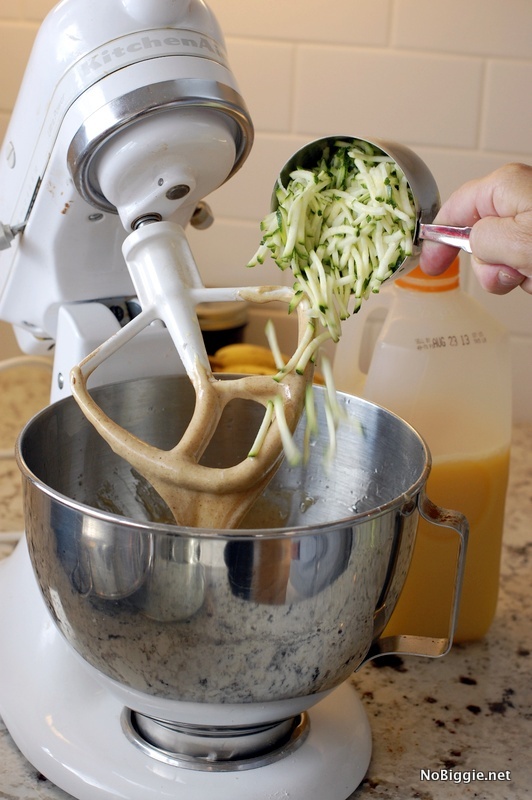 The zucchini almost dissolves into the batter while it bakes. You will love this recipe! Use a box grater to get tiny shreds of zucchini. In a mixing bowl, beat eggs, sugar, oil orange juice and extract. Combine dry ingredients; add to the egg mixture and mix well. Add zucchini and mix well. Bake at 350 degrees for 20-25 minutes or until cupcakes test done. Cool for 10 minutes before removing to a wire rack. 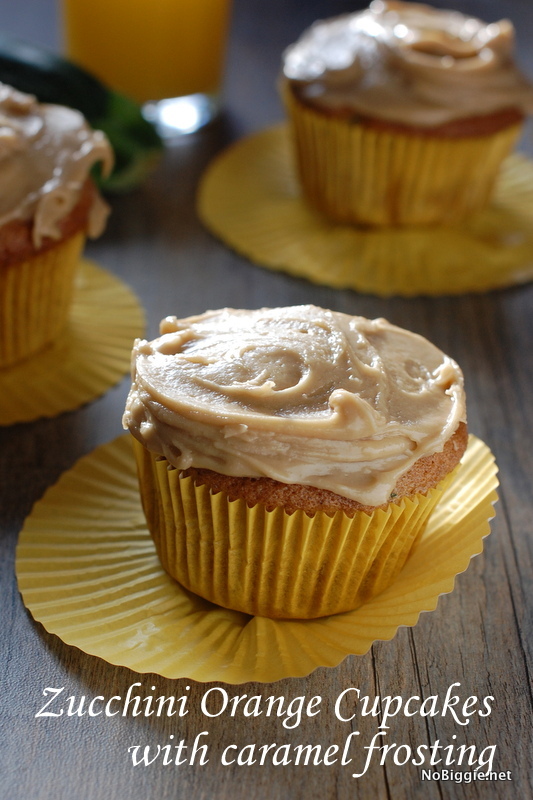 Frosting: Combine brown sugar, butter and milk. Bring to a boil over medium heat and cook and stir for 2 full minutes. Remove from heat and add vanilla. Cool to lukewarm and gradually beat in the powdered sugar until frosting reaches spreading consistency. Frost cupcakes. Makes about 1 ½ dozen. That’s it! They’re so good! I hope you make them! The frosting tastes very caramel-y — so yea! I did find it difficult to beat it to spreading consistency after adding the powdered sugar in increments. I ended up adding some additional liquid — about 3-4 Tblsp of 1/2 and 1/2 — and beating at a much higher speed until it became frosting-like. It is a very sweet frosting, but I’m using it with banana cupcakes so hopefully it balances out. 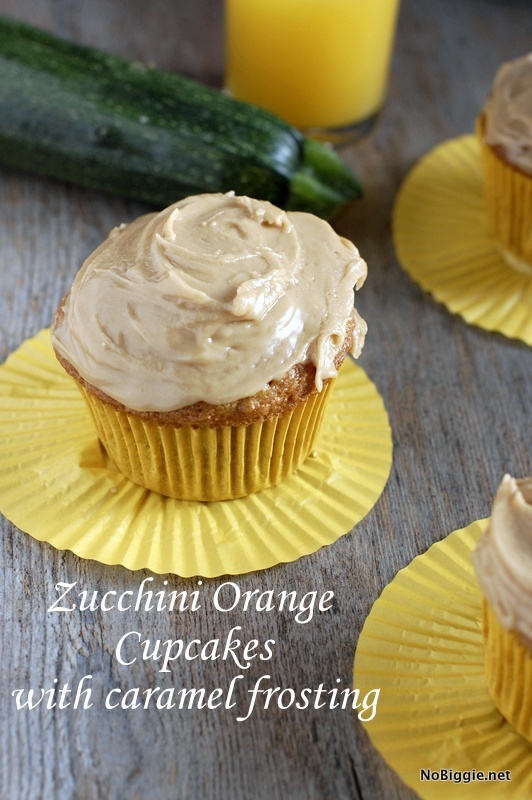 I will definitely try the zucchini cupcakes as well! Oh good, thanks for sharing!